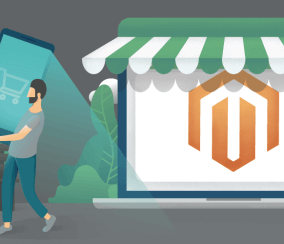 Maintaining its position as the most popular dedicated Ecommerce platform in the world, Magento is growing steadily into 2019. 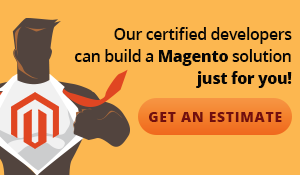 Along with Magento’s in house team, the platform has a community of over 315,000 developers contributing to the platform’s growth. 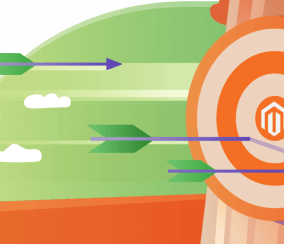 But as it is always evolving, it’s important users of Magento remain informed on what’s to come in order to best plan their future eCommerce selling strategies. 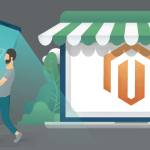 To keep current with Magento and stay on top of the changes coming to the platform, here’s the forecast on what to expect in 2019. Magento saw a few changes behind doors in 2018 that are going to have a significant impact on the features soon coming to the platform next. In May of last year, Adobe Systems inc. purchased Magento from Permira for $1.68 billion dollars. Though it is interesting to note that this purchase is another in a long history of trades in the platform’s ownership—originally being purchased and managed by eBay between 2011 to 2015. 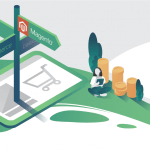 Adobe’s goal is to expand Magento’s capabilities into a broader reaching platform that caters to both B2B and B2C customers. Their CMS tools, like Adobe Creative Cloud and Adobe Experience Manager, are integrating into the platform. With Adobe’s experience in predictive analytics and artificial intelligence (A.I. ), the analytics tools of the platform will likely see improvements. 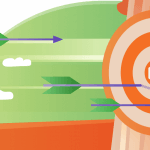 Adobe’s CMS is also known for experience-driven interfaces and creative range of design options, meaning personalization within Magento will evolve. Akeneo is an open source product information management (PIM) solution, and in October it was announced that Magento would partner with them. Akeneo solutions serve B2B and B2C customers as well, pairing with Adobe’s intentions to expand the eCommerce platform. For a while now, Magento eCommerce options were limited when it came to PIM. But by partnering with Akeneo, they will now offer users the ability to better aggregate the product information of their webstores. This in turn will lead to a faster distribution to market, easier product localization, and higher overall sales. 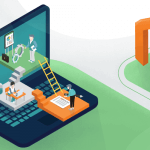 Due to the recent ownership change and partnerships of Magento, powerful new tools for online selling will arrive in 2019. In addition to that, concurrent trends across the eCommerce industry will more than likely encourage an enhanced Magento user-experience. A.I. is influencing the way users engage with websites, and from this new eCommerce abilities are emerging. The technology is being applied to analyze customer behavior and apply the data is gathers to best aid customer interactions. As A.I. 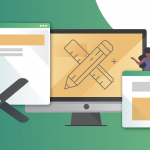 continues to develop, the demand for tools driven by the technology to enhance the user and customer experiences has risen massively—and Magento will adapt. For example: Chatbots are being implemented into more and more websites as instant customer support becomes a growing standard. Being renowned for their customer management tools, it makes sense to see chatbots emphasized for their benefits in those areas. 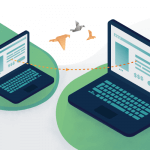 Namely, empowering websites to better analyze customers and their concerns, then respond to their needs instantly without requiring any h3npower. Another major area A.I. driven machine learning is being applied use for eCommerce experiences is personalization. 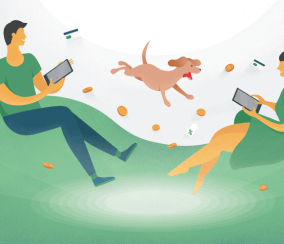 More effectively than ever before, data is being gathered to best target customer personalities and preferences with specialized advertisements, coupons, product recommendations, and the like. But whether it has been emphasized as heavily in the past or not, personalization initiatives don’t all require A.I. systems. For Example: Simple touches like automatically addressing all emails to the recipient’s name or sending unique messages to different types of customers (such as a cosmetics company advertising cologne to men and perfume to women) are tactics that have been around for a while. Push notifications that track user activity and send alerts to stimulate activity over time are also becoming more popularly used. Still, by applying A.I. 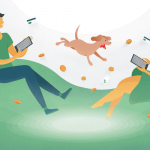 driven analytics that monitor customer habits much deeper information is gathered, and marketers will apply the right messages to the right people without needing to lift a finger. 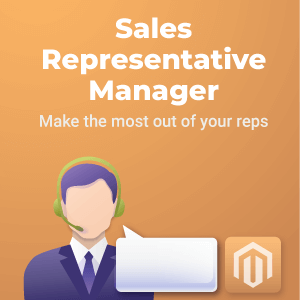 Advancements in personalization like these are allowing webstores to massively enhance their marketing efforts, and Magento developers will take advantage. 2018 was an eventful year for Magento. 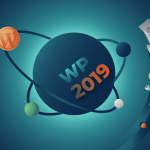 And now, with the platform now integrating with Adobe and Akeneo services, 2019 is shaping up to be the same. Changes in eCommerce will always require webstores to innovate and adapt, and predicting the right move isn’t always easy. That said, try to plan your business according to the incoming changes and trends mentioned above. 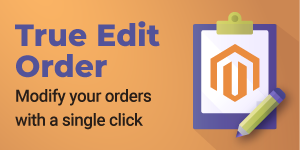 For Magento users wanting assistance in planning and adapting their webstore for future, check out our Magento support services here. 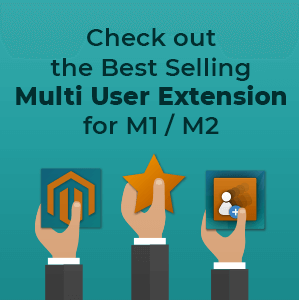 Magento extensions updates, routine maintenance, Magento version updates, security audit, help desk support, optimization. 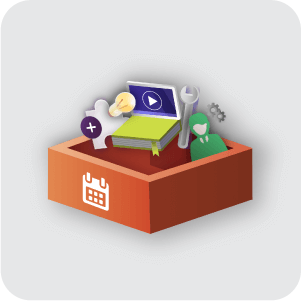 In addition defined hours of monthly support for consulting, online training, bug fixes, graphic design support, integration and other enhancements and modifications.